Overcome your fear of all things creepy and crawly through the power of poetry and live music in this fast moving, out of this world adventure. 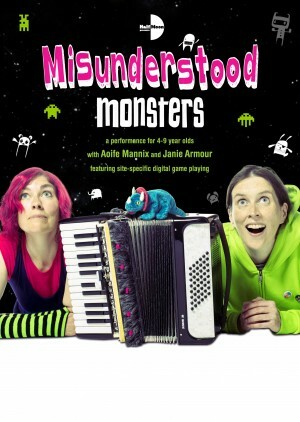 Two professional monster catchers who use the latest digital gadgets and gizmos to battle vile beasts are on their most dangerous mission yet. 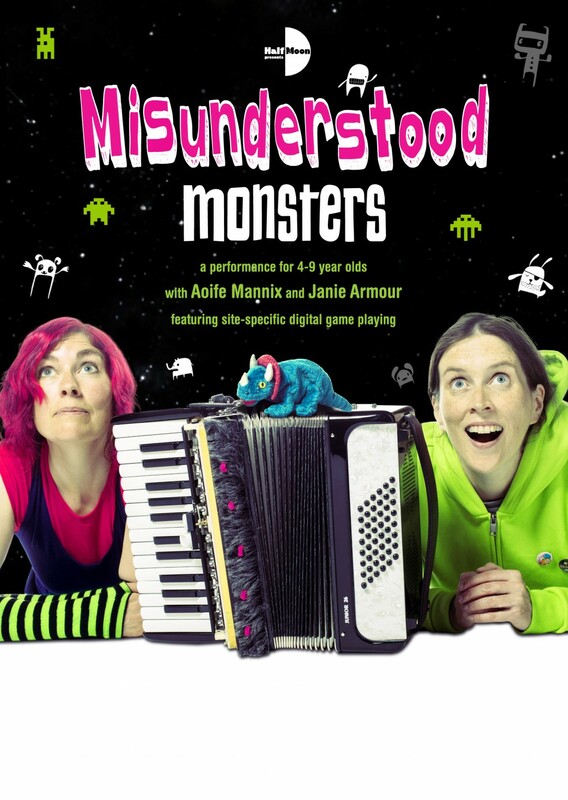 But when earth is threatened by Scoodlefug aliens, these unstoppable heroes are forced to question who the real bad guys are, and need the audience to come to the rescue. 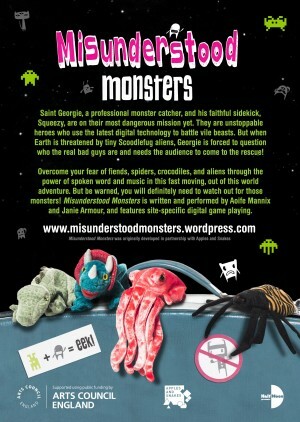 But be warned, you will definitely need to watch out for those monsters! 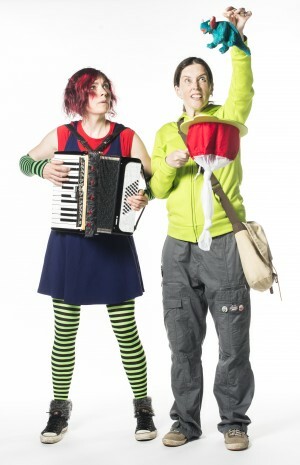 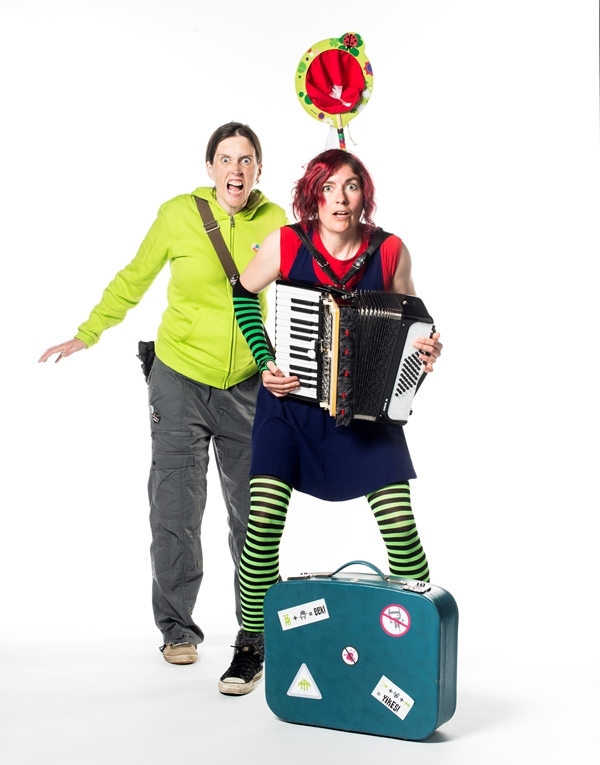 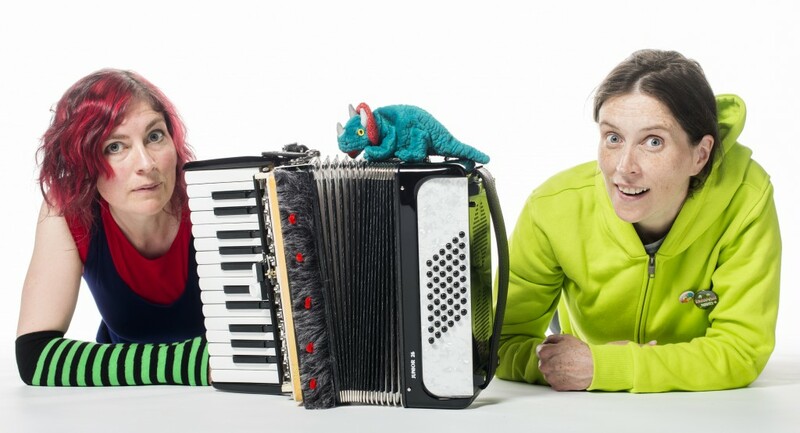 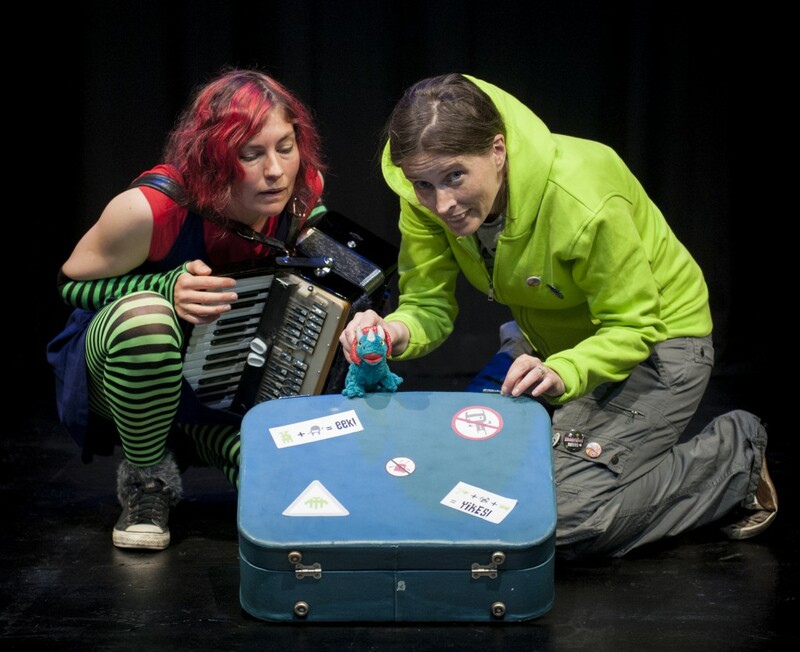 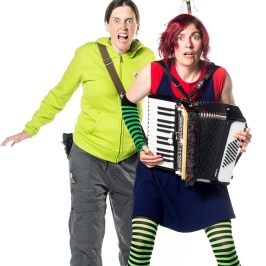 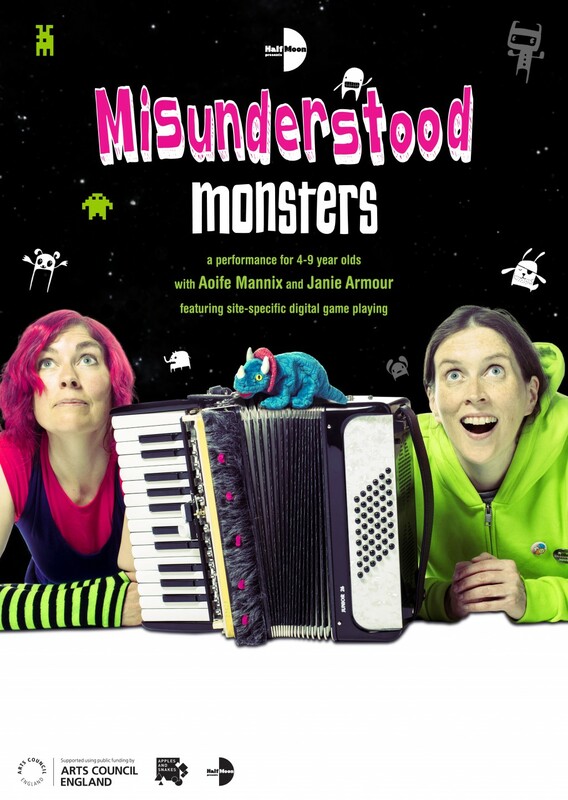 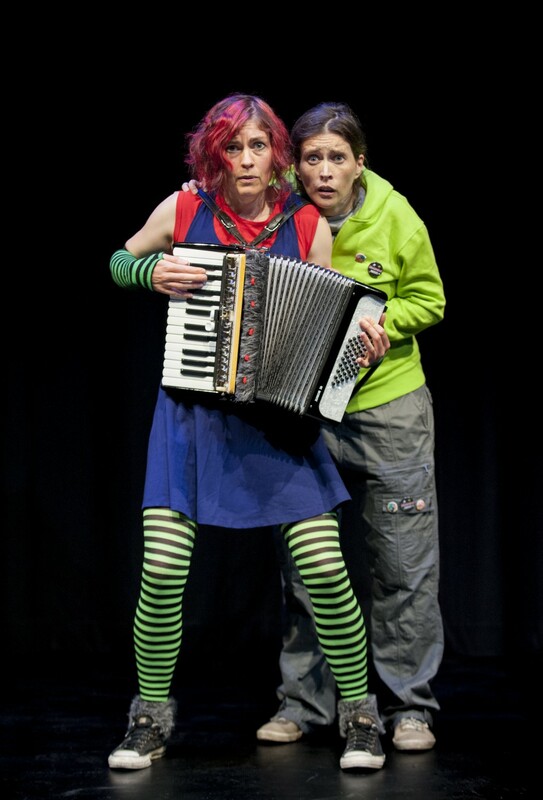 Misunderstood Monsters was written and performed by performance poet Aoife Mannix and musician/composer Janie Armour, and toured nationally as part of Half Moon presents. 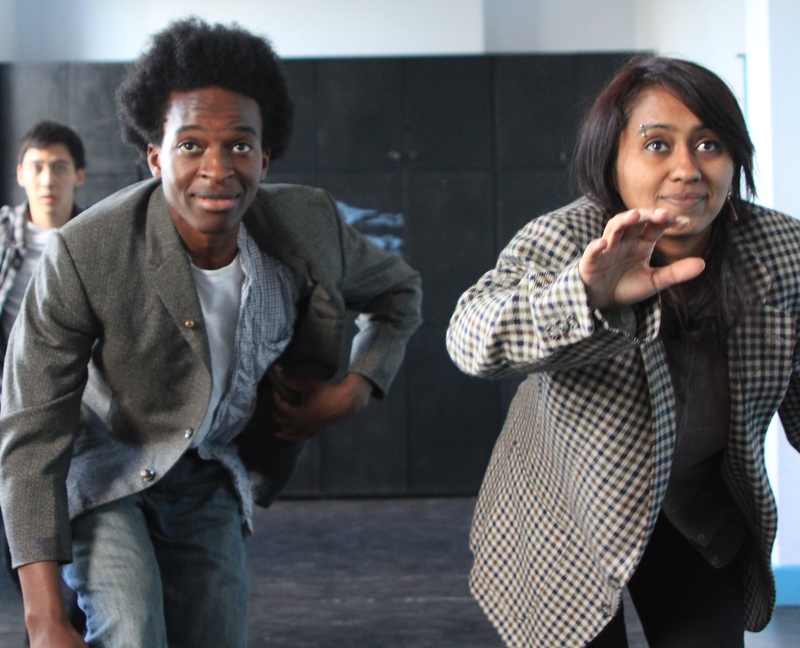 At the end of each performance, audience members were invited to download an app on their phone and take part in an interactive digital adventure journey around the theatre, and at their leisure later at home.